Printer Jan Petr Obr’s workshop flourished in the days of the Austro-Hungarian Empire. His distant relative has now created a link to that famous epoch of traditional quality printing. 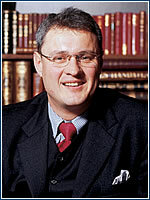 AFTER THE Velvet Revolution, Petr Řehák began doing business in various sectors, including the production of books for bibliophiles. This sort of production requires hand-made paper, which had to be purchased at great expense, so Řehák, originally a lawyer by profession, began making it under primitive conditions himself. “It soon became clear to me that this was precisely what I want to do. I met with interesting people, with the result being something beautiful,” Řehák says. Today, Bohemia Paper has 35 employees and a binding and engraving shop, and is one of the three largest printing houses in Europe using this technology. The product line was extended to include comprehensive, above-standard printing services, covering business cards, letterhead paper, and invitation cards for various events. A customer can choose from many printed patterns, while more creative clients can avail themselves of production according to their own designs. Additionally, Bohemia Paper offers graphics and engravings printed on hand-made or cotton paper, limited series of books bound in leather, or hand-colored new prints. 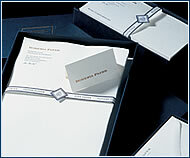 “A business card is often the only thing exchanged at meetings. Therefore, it should meet a certain standard,” Řehák explains, adding that he regrets that there is only minor interest in business cards on the Czech market. 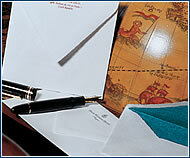 For several years now, Czech governmental ministries have used Bohemia Paper products. 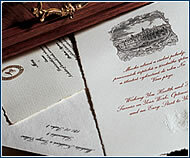 Thanks to cooperation with companies such as Dunhill and Cartier, the company was even able to print Madonna’s wedding announcement. If your tastes are for elegant and simple beauty, get inspired by nature and arrange your interior under the influence of positive and perfect WHITE. Just dreaming of flowers. 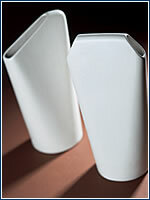 Vases One ceramic – Driade, CZK 3,230, Konsepti. 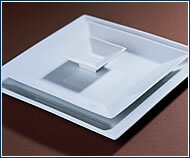 The second dimension of a plate. Pordamsa, CZK 580 and 370, Donlić. Salt food with a steamboat chimney. 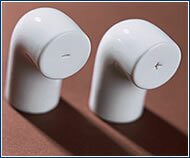 Salt and pepper shakers Submarine – Propaganda, CZK 650, Donlić. What’s a cup do when you’re not looking? 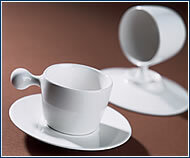 Cup Cupple – Propaganda, CZK 650, Donlić. Shopping for joy: You don’t have to scour shops for small sized items of quality design anymore. Livingshop, which offers only design accessories, is full of nice, witty and “aesthetically intelligent” bundles of joy. One can find elegant jewellery, glass and china, tiny textile and personal items from presti-gious brands (Xen, Belda, Lexon, Asa, Esprit).